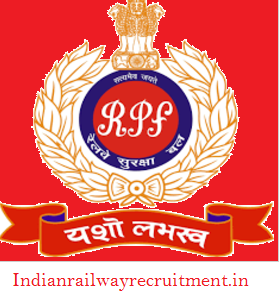 RPF SI Recruitment 2019:- Looking for any employment notification released by Ministry of Indian Railway Department anywhere in India and in All regions of RRB then, you are in right place. As Railway Protection force announced bumper job opportunity notification for Freshers & Experience candidates. RPF/ RPSF Department notified to all job seeker by publishing job notification in employment newspaper & publish pdf of official notification in their official website i.e (indianrailway.gov.in, https://si.rpfonlinereg.org) about Sub inspector Posts with having approx up to 1120 Posts in Railway department for all interested candidates who have minimum eligible criteria requirement i.e Educational Qualification as well as Age limit (Relaxation in upper age limit is also available for SC/ ST/ OBC & other categories). Indian railway divided total vacancy into RPF/ RPSF & Category wise & Male/ Female Wise. All the contestant who is willing to apply Online Application form for RPF jobs 2019 Sub-Inspector posts wise then, you first need to check your eligibility and then follow Online apply few steps. After doing registration you will call for written Exam then another selection process stage will be carried out. So, for that purpose, you need to check each and every detail about RPF SI Recruitment 2019-20 Notification complete detail like Eligibility, Selection process criteria, Exam detail, Important dates and official notification complete information. Railway protection Force currently Announced Sub-Inspector Posts recruitment notification for which applicant need to have Degree Education Qualification from the recognized board of school Education by Govt of India and Age limit as per category wise. So, below we are sharing with you each and every single information related to the current running vacancy by RPF in 2019-2020 Years. So, keep reading & Keep note of every detail related to RPF SI 1120 Posts recruitment 2019 Notification. SI Posts Detail:- RPF inviting all the job seeker candidates in India for SI Posts. Both Male & Female Candidates will be eligible for Sub-inspector Posts. As the Maximum number of Vacancies will be reserved for Female Candidates. So, Main of the focus of Railway protection force is going toward female protection & to improve Female safety & security in Railway. Vacancy detail:- In 2019, Ministry of Railway department of India, decided to hire bumper Candidates for Sub-Inspector Posts. 1120 Vacancy will be divided into Category, Male/ Female, Region wise. Age limit:- Not more than 25 Years or Between 20 Years to 25 Years. Relaxation will be available for SC/ ST/ OBC/ Widows, divorced women and women judicially separated from husband but not remarried. Minimum Educational Qualification:- All the interest candidates only required to possess basic education qualification that is for both Male and Female candidates. As minimum Education Qualification Criteria is Bachelor Degree Pass or any relevant Qualification. If you possess Minimum Eligible criteria then, you can Apply Online Application form from the official website link that is Available below But, before going applying process you must need to be aware of selection process criteria that you need to be Qualify to get successfully SI jobs. Click on the Link RPF Sub-Inspector Recruitment 2019 CEN 1 2019. Please subscribe Our website or visit us again to get latest jobs update by Indian Railway related to RPF SI Jobs 2019 Notification. Here you can also check more Railway or any govt jobs detail. 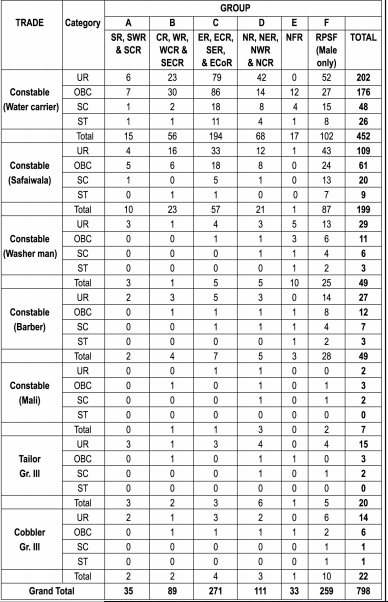 Below we also mentioned bumper govt jobs detail in various department anywhere in India, If you are not interested in current running recruitment then, please keep sharing RPF Bharti detail and help your friend to get jobs. If you have any suggestion for us or have any question, ask in below comment box we will respond and give you help as much as we can.